There is a moving, somewhat entertaining scene in the recently released film “Heading Home: The Tale of Team Israel” where Moshe Abutbul, the mayor of Bet Shemesh, invites the 10 visiting American baseball players from Team Israel and their significant others to help him dig a hole in the ground on the site of a future baseball field and stadium. He shares that in the Chassidic tradition, “If you want something to grow, you plant seeds.” Hopeful that the team’s success and baseball’s popularity in Israel will continue to grow, he and the Team Israel players “plant” a fresh white baseball in the ground. Judging from film footage showing the enthusiastic reception and request for autographs the rock-star-like players received all over Israel—and from the from the cheers of the audience that packed the Marlene Meyerson JCC in Manhattan for the New York premier of the 85-minute film—Team Israel and Israel baseball are off to a great start. The crowd came to relive the story of Team Israel’s dramatic, if not miraculous, run in the World Baseball Classic—from winning the Qualifiers in Coney Island, N.Y., in September 2016 through its perfect record in Round 1 in Seoul in March 2017, to their games in Tokyo in Round 2. They also came to hear about their life-changing, 10-dayBirthright-style trip to Israel in January 2017 and to catch a glimpse (and maybe get an autograph) from some of their Jewish baseball heroes. Some came clad in Team Israel blue-and-white hats and shirts. (One fan made a beeline in the JCC entranceway for team CEO Peter Kurz to ask him if Atlanta Braves pitcher Max Fried is Jewish. 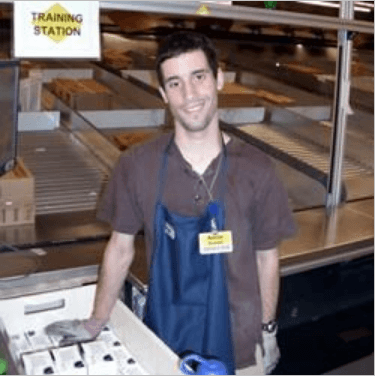 Kurz proceeded to tell him he was, and that he was a member of the gold-medal-winning 2009 Maccabiah Games Team USA Juniors baseball team). Others wore New York Mets gear in honor of former New York Met and current Team Israel player (in attendance) Ike Davis. At least one father and son carried white baseballs in anticipation of autographs during the celebratory rooftop reception. The film begins with Kurz and assistant general manager Margo Sugarman combing through birth, circumcision and wedding documents as they attempt to verify the “Jewishness” of potential players for Team Israel. Under the Heritage Rule, to represent a country a player need only be eligible for citizenship of that country. For this reason, nearly the entire team is comprised of American players—most with a tenuous connection to Jewish religion and culture. The experience of playing for Team Israel and visiting Israel (for the 10 men who went) was transformative. 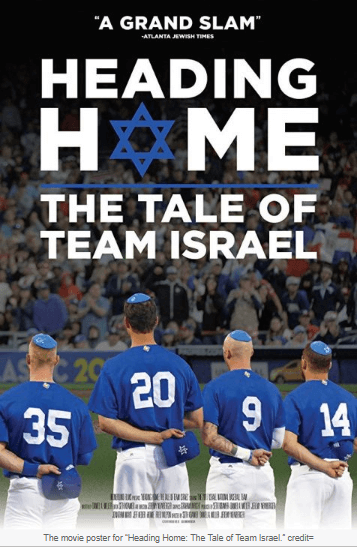 The film includes footage of all of Team Israel’s World Baseball Classic games, but mostly focuses on the trip to Israel (starting with the flight on casino mogul Sheldon Adelson’s private plane). The story is told through the eyes of Josh Zeid, Ike Davis, Ty Kelly, Sam Fuld, and the always colorful and funny Cody Decker. Audience members quietly spoke to seatmates as familiar sites such as the Dead Sea, Masada, Yad Vashem, the Western Wall and the Arab shuk in Jerusalem appeared on the screen. The filmmakers captured scenes of the players doing karaoke, watching belly dancers and buying shirts of their former or current Major League teams—written in Hebrew. Following the film, MLB’s sportswriter Jonathon Mayo moderated a question-and-answer session. 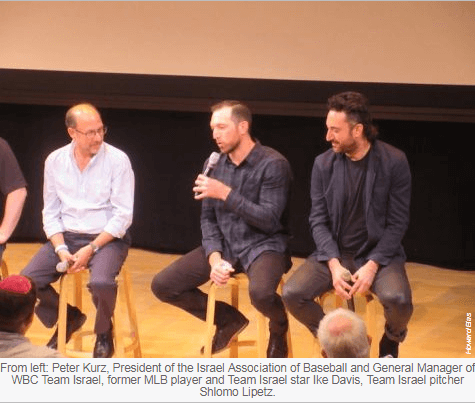 Panelists included all three directors—Daniel Miller, Jeremy Newberger and Seth Kramer—in addition to Kurz, Davis and Israeli-born pitcher Shlomo Lipetz. Mayo noted some in attendance who were connected to the team, including Jeff Aeder, a restaurant owner from Chicago, founder of jewishbaseballmuseum.com and team supporter; Nate Fish, the team’s first-base coach; and Dan Rootenberg, the strength and conditioning coach, and so-called “Mensch on the Bench” (aka the team’s mascot and inspiration). Kurz said he’s pleased with the team’s success and its impact on baseball in Israel. 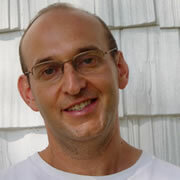 He reported a 30 percent increase in Israeli children playing baseball since the World Baseball Classic. The film continues to play to enthusiastic crowds in Israel. And Kurz is looking to the future, saying “five WBC players are working on making aliyah through Nefesh B’Nefesh. 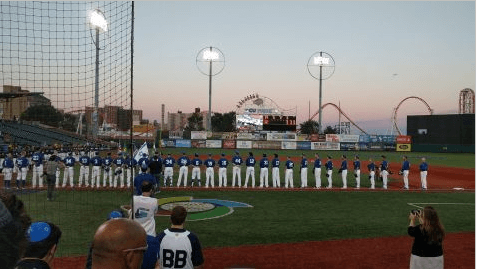 They are looking forward to helping Israel baseball in its quest for the Olympic qualifiers.” Kurz went on to explain the complicated process of qualifying for the Olympics and noted enthusiastically that “Israel loves the Olympics! If they qualify, it will be the first time since Montreal in 1976 when Israel qualified for a team sport.” He also noted that only six teams will make it there. Perhaps the baseball planted deep in the ground in Beit Shemesh will bear fruit in time for Tokyo 2020, so Israel can have a rematch against Team Japan.